A napkin useful for enabling a user to document a new idea by providing a clear open writing space, indicia inviting the secure sharing of the new idea, and a means for communicating the new idea in real-time using modern communication technology to a third party having means to assist the user with their idea. Accompanying the napkin is a holder for retaining napkins, writing instruments, and instructions for using the napkin. A business method for using the napkins to promote businesses in the invention industry is also disclosed. 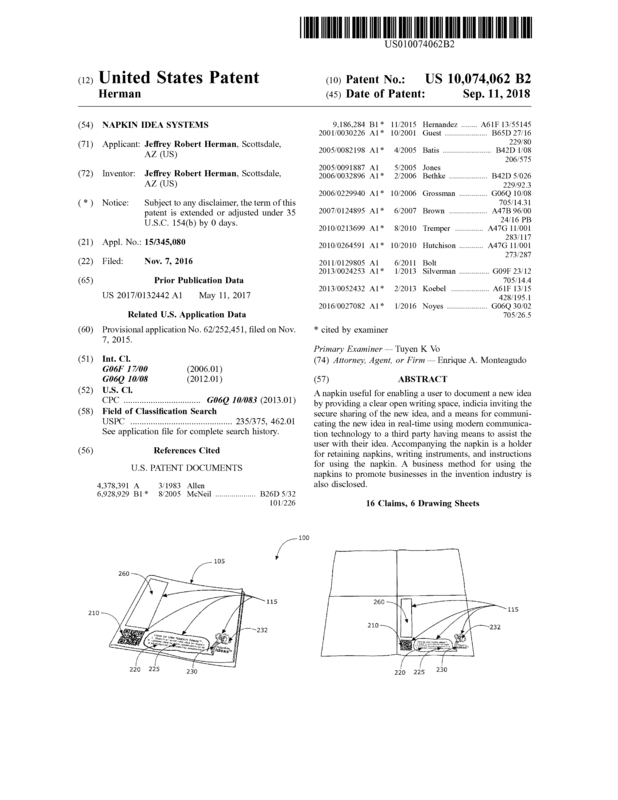 Page created at 2019-04-26 17:47:19, Patent Auction Time.